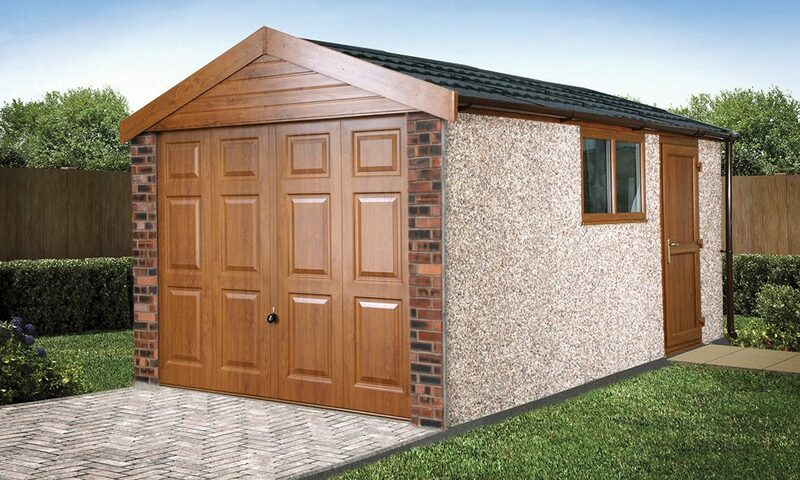 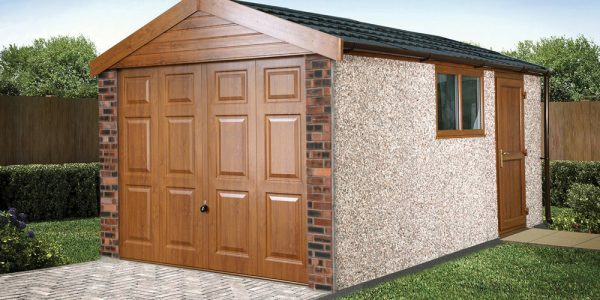 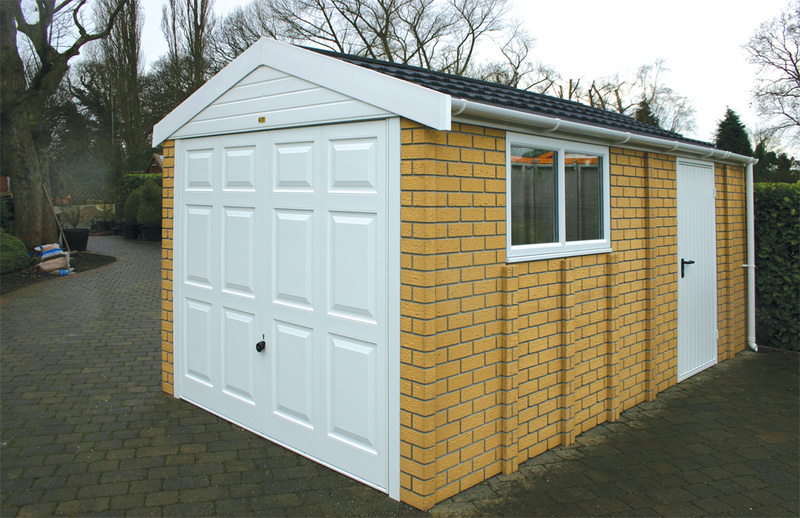 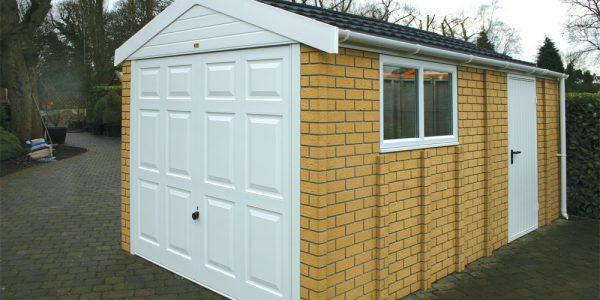 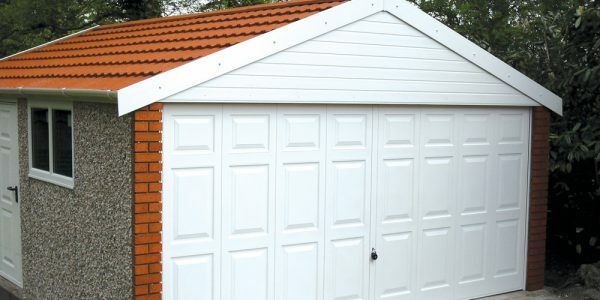 The Apex 20 pitched roof garage is our top of the range design of traditional appearance, designed to be as stylish as it is functional. 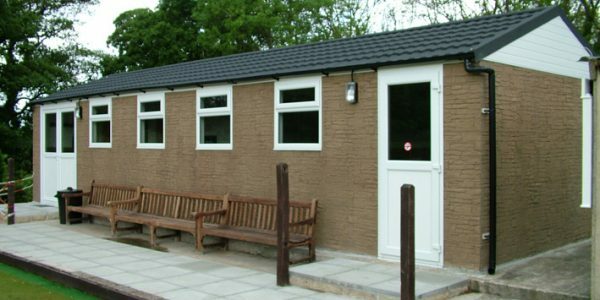 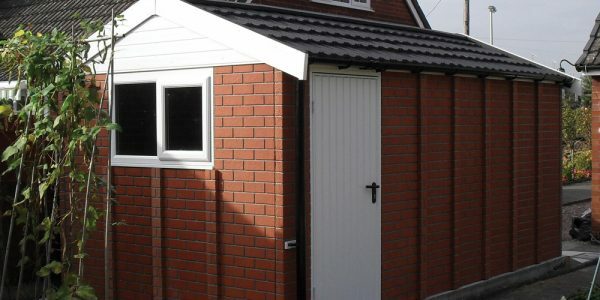 The range features a traditionally constructed and lined roof, with 20° pitch and clad with Metrotile Bond traditional pantile profile tiles, the Apex 20 is the cream of the crop. 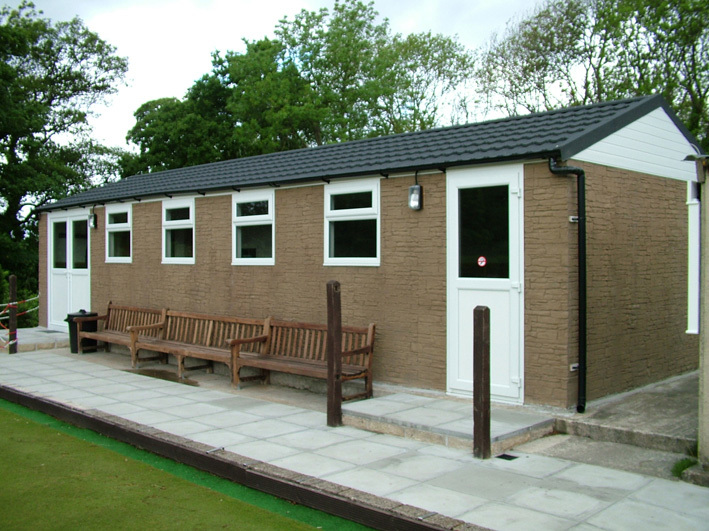 Our market leading range can provide six roof colour choices to blend with most existing roof colours. 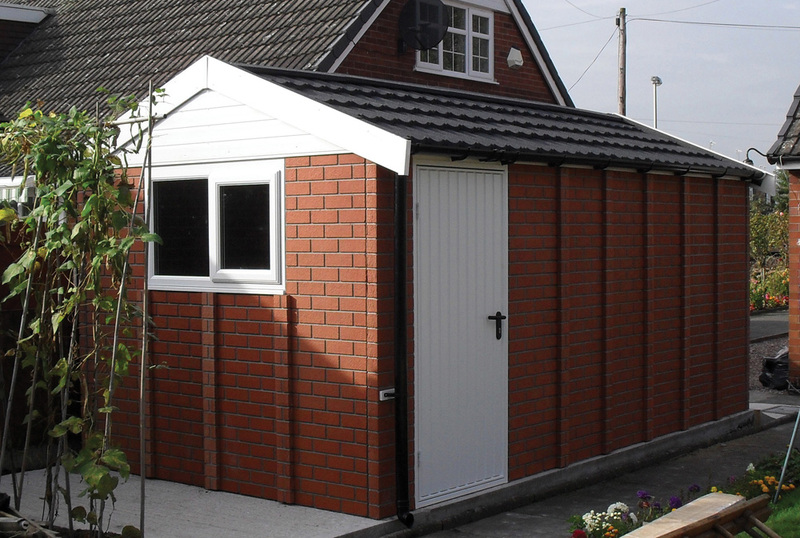 Constructed with timber purlins and lined with untearable felt, the roof tiles have a 40-year guarantee. 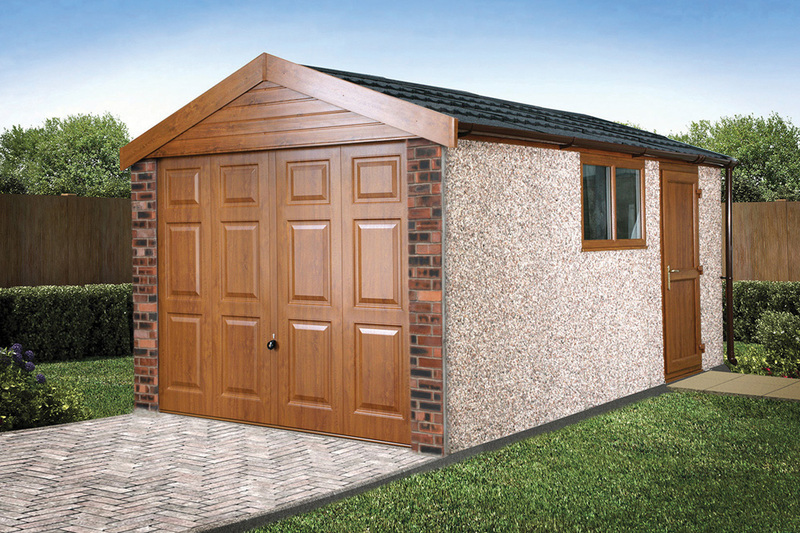 Choose from maintenance free options (Decograin PVCu looks great on this model), Brick front posts, Stone or Brick wall finish, site applied Textured finish, Garaclad PVCu cladding finish or any of the other items in our range – make your building unique. 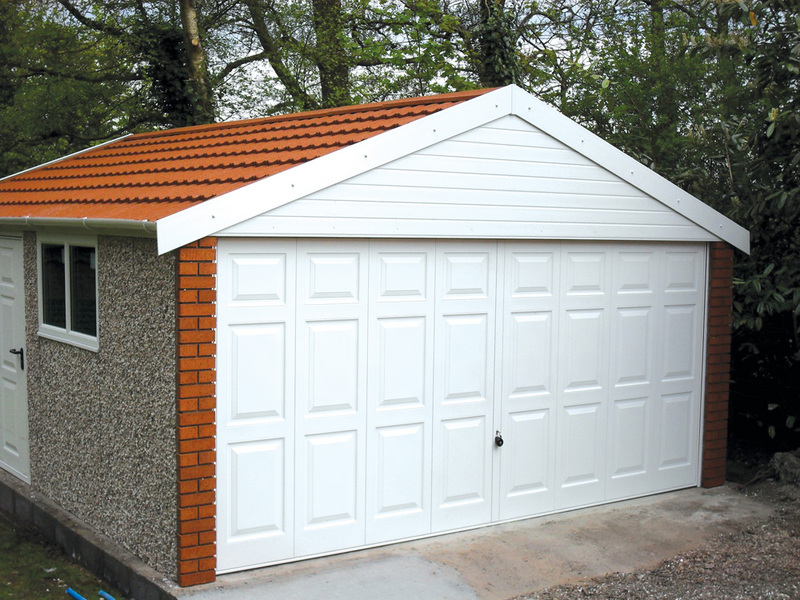 A traditionally constructed 20° pitch lined roof with Metrotile Galvanised steel roof tiles in a choice of 6 colours (see page 27).